Beans and rice are a great source of complete protein, minerals and dietary fiber. 1 Is Rice Good for Weight Loss? According to legend, the Cajun dish combining red beans and rice was served on washday because the dry beans could be simmered on the stove all day while attention was devoted to doing laundry. By using canned beans, the nutritional benefits of this dish can be obtained quickly and easily any day of the week. Combine any type of beans and any kind of rice and you’ll receive the nutritional benefits, but in red beans and rice, kidney beans (red beans) are combined with vegetables (onions, carrots, bell peppers, celery) and ham, bacon or smoked sausage. Simmered in chicken broth and seasoned with cayenne pepper and garlic, the cooked bean mixture is served over white rice. Adding meat and vegetables contributes to the overall nutrition. For the purposes of this article, the nutritional values of 1 cup or 177 g of kidney beans and 1 cup or 158 g of cooked long grain rice are listed. Beans and rice combined have 419 calories, 81.5 g of total carbohydrates and only 1.5 g of total fat. One serving provides 27 percent of the recommended daily value (DV) for carbohydrates (based on a daily diet of 2,000 calories). White rice has a medium impact on blood sugar (glycemic index of 58), but that’s balanced against the low impact of kidney beans (glycemic index of 52). The total fat includes only 0.2 g of saturated fat and a good amount of heart-healthy fatty acids. Beans and rice have 0.33 g of omega-3 fatty acids (20.6 percent of the recommended intake for men and 30 percent for women) and 0.31 g of omega-6 fatty acids (1.8 percent of daily intake for men and 2.6 percent for women). 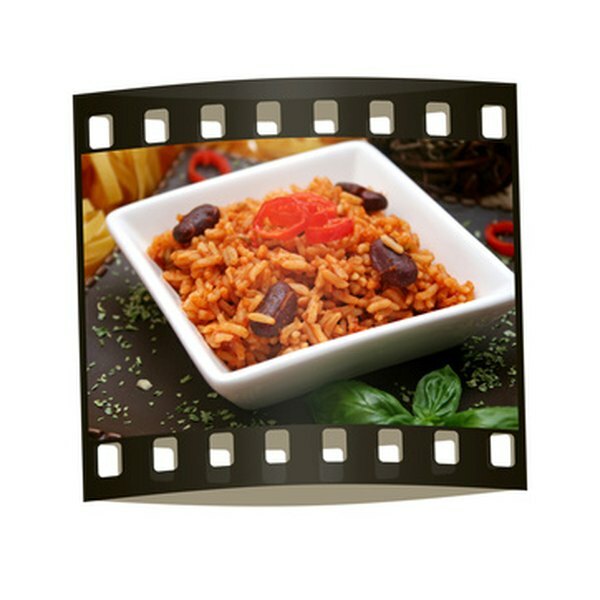 One serving of beans and rice provides 19.9 g, or 40 percent DV, of high-quality, low-fat protein. An excellent source of dietary fiber, beans provide 13.1 g (52 percent DV), but rice also contributes a small amount (1.4 g or 6 percent DV). Kidney beans contain equal amounts of both types of fiber, so you gain cholesterol-lowering soluble fiber and the digestive benefits of insoluble fiber. Kidney beans contribute vitamin C (4 percent DV) and vitamin K (19 percent DV). Beans and rice combined provide all of the B vitamins except B12, including thiamine (41 percent DV), vitamin B6 and niacin (23 percent DV each) and 8 to 9 percent of thiamine and pantothenic acid. Beans supply 230 micrograms (mcg) of folate; rice has 128 mcg, for a huge total of 90 percent of the recommended daily value. Manganese is a cellular antioxidant that’s also needed for development of bone and collagen, and the metabolism of carbohydrates, amino acids and cholesterol. 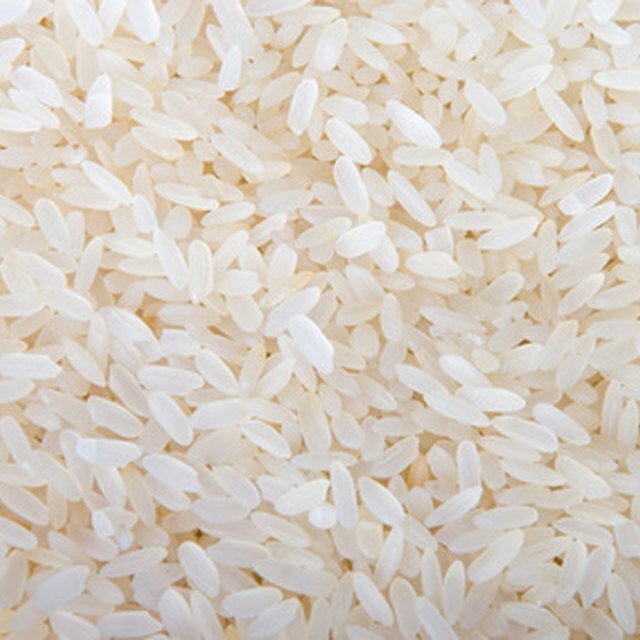 One serving of beans and rice supplies a whopping 70 percent DV of manganese. Beans and rice provide all the essential dietary minerals, except sodium. If you’re watching salt intake, they’re a great dish because without the addition of salt during cooking, beans and rice contain no sodium. Beans and rice are an excellent source of iron (45 percent DV) and phosphorus (34 percent DV). They also supply 23 to 27 percent of the recommended daily value of potassium, magnesium, selenium and copper. Rice supplies 87 percent of the total selenium, but kidney beans contribute between 60 to 86 percent of the remaining minerals. Can You Mix Quinoa & Brown Rice in a Rice Maker?